What’s Happening? Fun filled weekend! BB&T Ballpark Planner – May 15-17. The Winston-Salem Dash play at beautiful BB&T Ballpark, and all fans in attendance will enjoy the best family-friendly entertainment in the Triad! Join us May 16, 2015 for the 29th Annual Carolina Blues Festival in association with YES! Weekly! We’ll have a great lineup including headliner, Shemekia Copeland! Meet us at Barber Park for a great line up of International, Regional, and local blues musicians, arts & crafts vendors, food trucks, and fun for the whole family! A weekend packed with food, fun, and dancing! Too many choices for just one day, so come out for all 3! Activities for children, as well as shopping, church tours, cooking classes, and more! Bands: Each day a live band will play in the concert shell from 12:15 p.m. – 1:00 p.m. Blankets/chairs welcome. Demos: There will be sport-dog demonstrations throughout the weekend including flyball, agility and free-style disc dog. Kids Zone: a variety of craft activities are available for a nominal suggested donation. We also have the Parties 2Dye4 Bus! Tie-dye our Triad Dog Games’ event tee shirt (fee). Shop! : Please support our vendors who have donated to The Sergei Foundation to be at our event. Buy baked dog-goodies, hand-made pet tags, other pet-gear and also learn about the other businesses who provide services to the community and who will have giveaways and fun-activities throughout the day. Walking Trails: No official walk/run is planned, but you are free to enjoy the many trails that Tanglewood Park has to offer. We will have trail maps at our Information tent and you can also access them here. Below are the competitive events. Click on any section to find out more about dates/times and competition registration. Each competition will generally have awards/medals for 1st, 2nd, 3rd place and some product prizes. See individual event pages for prize details. The American Cancer Society Relay For Life movement symbolizes hope and our shared goal to end a disease that threatens the lives of so many people we love. If cancer has touched your life, participating in a Relay For Life event is a way to take action and help finish the fight. This is your opportunity to honor cancer survivors, remember those you have lost, and raise funds and awareness to fight back and help end cancer forever. American Children’s Home 17th Annual Show-Off Car, Truck & Motorcycle Show May 16th, 2015 from 8:00 am to 3:00 pm. Registration 8:00 am – Noon, $20 entry fee, free to spectators, vendor fee $40.00. Goody bags to first 50 entrants. Raffle, 50/50 drawing, silent auction, DJ and food. Silent Auction from 9:00-1:00 pm features NASCAR memorabilia, furniture, jewelry, gift baskets and more. Activities for kids including pie eating contest, face painting, sno cones, popcorn and Southmont VFD Smokehouse. Top 25 plus Specialty Awards sponsored and provided by O’Reilly Auto Parts presented at 3:00 pm. All proceeds benefit the boys and girls who call ACH their “HOME”. American Children’s Home mission is to provide nurturing care to children who have been removed from their homes due to abuse or neglect. If you are unable to attend the show and would like to make a donation to help the children, mail your check to…American Children’s Home, P.O. Box 1288, Lexington, NC 27293-1288. Alter White was your average high school teacher…until desperation drove him over the edge and made him “Bad.” In this concert, we explore composers who followed a similar path, highlighting pieces that strayed from the mainstream and stirred up public controversy and outrage. Who: Bib’s Downtown Restaurant in conjunction with Colborne Media Group. Why: Bib’s Camel City Cookoff is an opportunity to build and cultivate BBQ in Winston-Salem. Bib’s Downtown is a staple in the Winston-Salem community and is excited to bring more BBQ exposure to the city. This is a chance to see some of the Southeast’s best BBQ Pitmasters as they compete for cash and those all-important bragging rights. Visitors can see the rigs, interact with the Pitmasters and enjoy a day at this family friendly event. There will be bands, kids’ activities and delicious food. The Bib’s Camel City Cookoff will feature a food truck roundup Friday night from 5-10pm. Food Trucks featured are as follows: (subject to change) Check back for Food Truck additions. Bib’s Downtown will also be featuring their famous pulled pork sandwiches Friday night. Mountain Fried Chicken will also be selling it’s famous “It’s not Greasy” chicken plates on Saturday. Other food purveyors to be announced. Stay tuned and check back often. Don’t forget about our Dinner ride this Friday night to the Bib’s Camel City Cook Off at the Winston-Salem Fairgrounds. Registration at Smokin’ from 5:30 – 6:45. $15 per bike and $20 with passenger. B-B-Q dinner included in ride price. Proceeds from the ride will benefit Novant Health Derrick L. Davis Cancer Center Lee Simstein Memorial Fund. The fund is dedicated to helping cancer patients who cannot afford personal expenses related to treatments-medications, transportation to appointments, lodging during treatments and more. For more info on the weekends festivities and competition go to www.bibscamelcitycookoff.com. Join Bobby Locke at the Karaoke Challenge Mobile Stage at Bib’s Camel City Cookoff Saturday afternoon from 2 PM – 8 PM at Dixie Classic Fairgrounds! Come sing your heart out! YOU ARE INVITED TO ATTEND THE 2015 PANCAKE JAMBOREE ON FRIDAY, FEB. 6, at the BENTON CONVENTION CENTER. Friday, February 6 marks the return of one of my favorite events in the community and one of the best places to get people together over food: the Twin City Kiwanis Club’s Pancake Jamboree! This annual event, which draws hundreds of people, will be held at downtown the Benton Convention Center from 6:30 a.m. to 8:00 p.m.
It’s a great experience for which people have queued up for breakfast, lunch and dinner. The appeal of the Jamboree is that it’s one of the few times you might enjoy a down-home meal, family-style, among friends and co-workers-a rarity in the fast-paced world we live in today. The great thing is, you’ll probably run into people you might not have seen all winter and share a little time together. Tickets are $7 for adults, $3 for children under 12. 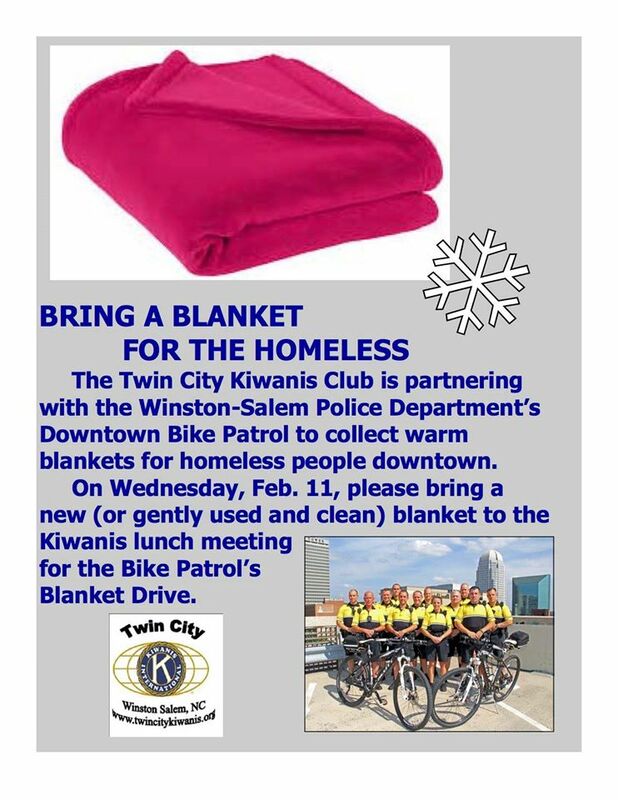 Proceeds benefit the Twin City Kiwanis Clubs community projects.